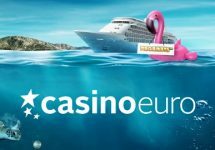 Casino Euro – The Blackjack Challenge! Aim for 21 and get rewarded! 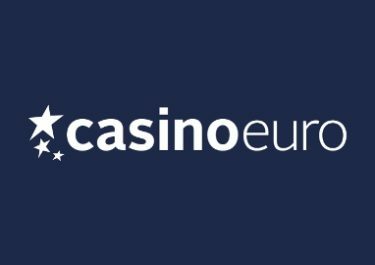 Take a seat at the Exclusive Live Blackjack tables at Casino Euro this week and make sure to hit 21 to collect daily cash rewards as well as placing on the leader board for a share of €40,000 in pure cash. Hit 21 with up to seven cards for a prizes of up to €1,000, plus wager just €20 to collect a daily €5 bonus. But that’s not all, the summer-long campaign will be heading into the third leg starting 30th June 2018 with the action focused on Lightning Roulette! Take part in the summer-long Live Casino Campaign at Casino Euro or any other brand from the acclaimed Betsson Group to compete for massive cash prizes in four episodes on their Exclusive Live Casino tables. This week the focus is on Blackjack with daily bonuses, daily cash prizes and a leader board race. Please note that only cash bets qualify for this promotion while those betting behind need to stake a minimum of €10 to qualify for bet behind points. 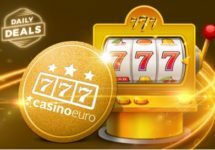 To receive a daily €5 instant bonus, wager ever day minimum €20 on the Exclusive Live Blackjack tables 1 – 12 and and VIP. Wagering requirement is 10x bonus amount within three days, subject to the Casino Euro bonus terms and conditions. 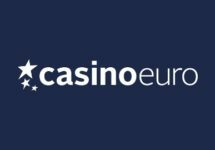 Score 21 with 5 | 6 | 7 cards on the eligible tables to win a daily cash prize of €50 | €250 | €1,000, credited the following day with no wagering requirements. If you want even more live action and prizes, join the Live Blackjack tournament on the eligible tables, where you can collect points for a share of the €40,000 cash prize pool. Players cannot occupy more than 2 seats at any Blackjack table. Score 200 | 300 | 400 | 500 | 800 | 1,000 points every time you hit 21 with 2 | 3 | 4 | 5 | 6 | 7 cards. At the end of the tournament the TOP100 scorers will win cash prizes ranging from €10 – €7,000, credited with no wagering requirements by 18:00 CET on 2nd July 2018.